The 5th International Banknote Designers Conference (IBDC) is a dedicated industry event addressing the issues con- fronted by all actors involved in the banknote design process. The conference will take place from 10-13 September 2018 in Lisbon, Portugal. 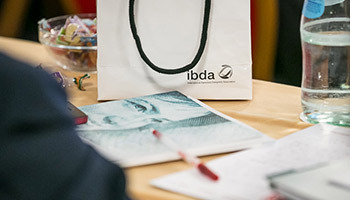 The conference is organised by the International Banknote Designers Association (IBDA) and is the only dedicated event and meeting place for the worlds’ banknote design community. The four – day event will consist of a series of presentations, panel discussions and workshops addressing the theme of banknote design and related issues. The specific focus of the 5th IBDC makes it a unique event for professionals active in the domain of banknote design, production and issuing to learn and keep up to date with the latest technologies, challenges, threats and opportunities emerging in this field. The conference format has been developed to provoke and facilitate the exchange of information, perspectives and knowledge and enrich the learning experience for all delegates through open and direct dialogue with banknote industry experts. The conference workshop programme is an essential component of the event and has been formulated to help you in your day – to – day work and to create value for anyone active in the planning, development or execution phase of an upgrade or new series project. The World Banknote Project (WBP) is an IBDA -driven initiative in partnership with the world’s banknote designer and technology developer community. Our role is to facilitate the free and creative expression of banknote designer’s vision of what the future banknote will look like. The World Banknote Project (WBP) is an IBDA-driven initiative in partnership with the world’s banknote designer and technology developer community. Our role is to facilitate the free and creative expression of banknote designer’s vision of what the future banknote will look like. Never before has banknote design had such an important role to play in defining the position occupied by cash in this new multi-payment economy. Our collective challenge is to ensure that cash continues to be demanded by all users and the WBP has been developed to allow designers express how they believe they can contribute to this. To date all IBDA activity (and that of other industry organisations, conferences etc.) has been to present what has been achieved and what the current state of play is. The WBP will project us all into the future and allow us to catch a glimpse of what the banknote of the future may look like. In essence, the WBP is a platform to facilitate designers produce their banknote and for the first time ever (for most designers) produce a banknote design and concept that captures their wealth of experience, knowledge, passion and dreams for the future. Our principal objective at the 5th IBDC is to facilitate the sharing of core information on design – related subjects and to provide designers and design management with a wider scope of information on the relationship between their activity and all other inputs to and outputs from the banknote design process. Ultimately this will enable designers and issuers to make more-informed and objective choices on banknote design, content and project management. ‘The World Banknote Project is intended to be a milestone initiative within our industry and it is hoped that the results of the project will stimulate and catalyse our industry to think differently about the whole subject of banknote design. In fact, the 5th IBDC will be entirely dedicated to the WBP with presentations, workshops, panel discussions and a dedicated exhibition on this theme. To support the 60 WBP designers from all around the world who have already registered to participate in this project, the IBDA has created a dedicated website www.worldbanknoteproject.com. A secure zone for WBP designers has been provided by the IBDA for WBP Designers to share ideas, knowledge and solicit support from other designers and/or technology developers in an effort to improve regular contact between designers and design partners around the world. 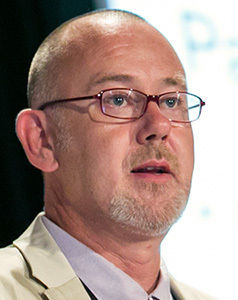 Mark Stevenson went on to say that, ‘the objective of such a social media platform is to facilitate dialogue and exchange between designers. This is a critical component of the WBP and we believe that the sharing of such information will not only enrich the learning process for WBP designers but, actually result in a more interesting and provocative WBP project. All conference presentations, panel discussions and workshops will have a link to this central theme. Each conference session is concluded with a panel discussion and a questions and answers session enabling delegates to ask specific questions and go deeper into subjects that may be of special interest. A number of social functions have been organised during the conference to facilitate networking and relationship building between conference delegates.